Compared with last month’s sushi cupcakes, the appearance of this month’s recipe is a bit of a let down, but it tastes good, and really that’s all that matters! 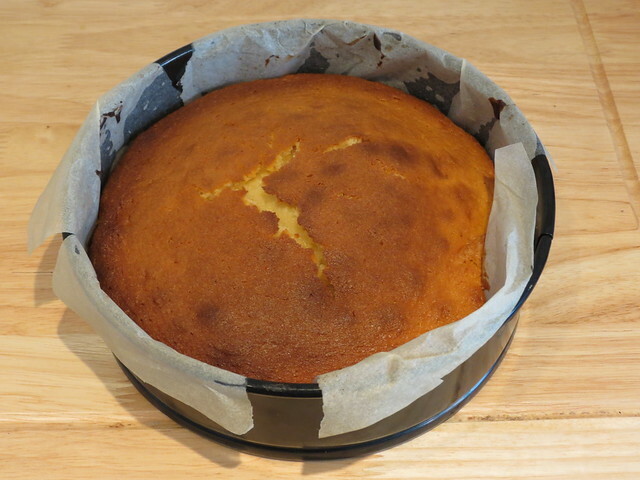 This month I decided to make a Yuzu Cake. Yuzu (ユズ) is an East Asian citrus fruit, and in Japanese cuisine it is most commonly known as an ingredient in ponzu (ポン酢) sauce. Tasting a bit like a grapefruit mixed with lemon, I thought the sharp flavour would work perfectly in a cake, and it does! 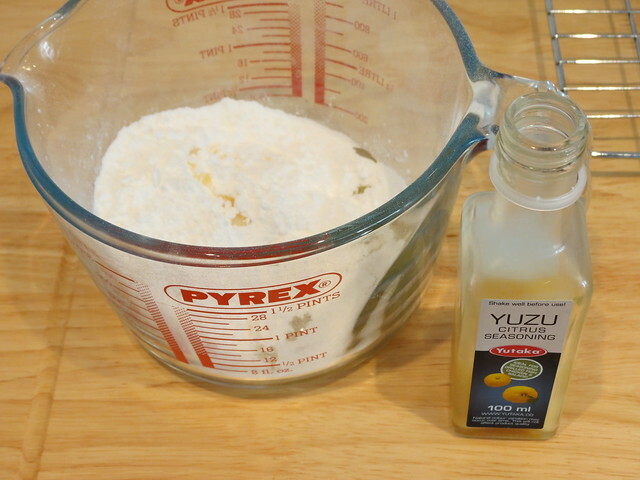 I’m not sure if it’s possible to get actual yuzu fruit here in Bristol, but I recently discovered that Yutaka do a ‘yuzu citrus seasoning’ which I decided to use. It’s absolutely brilliant, and I think I’ll be using it in cakes and sweets in the future. 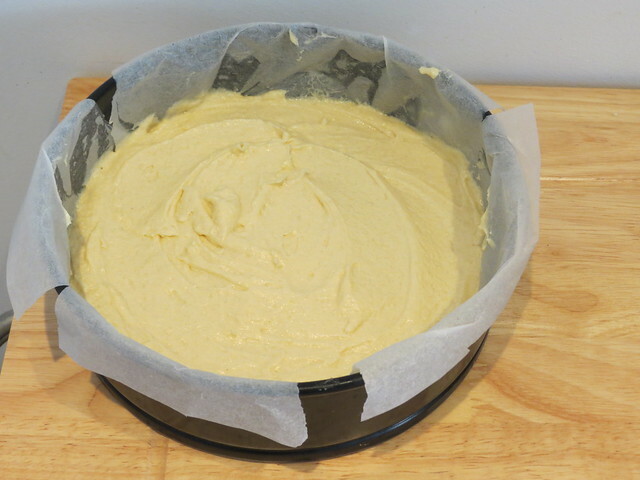 Pre-heat the oven to 180 C. Line a cake tin with greaseproof paper. 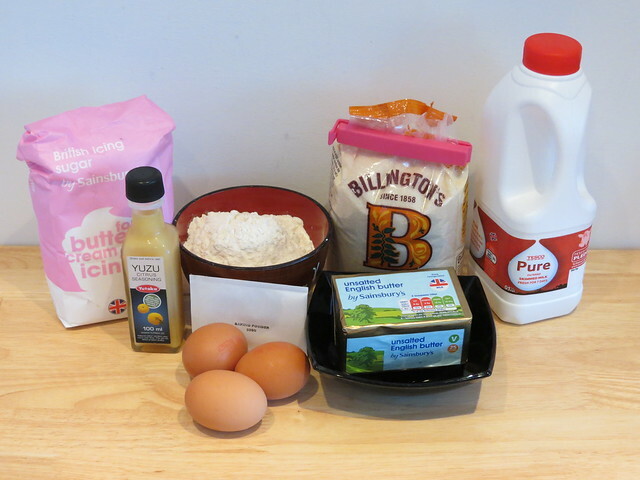 Beat all of the cake ingredients together except the yuzu and milk. 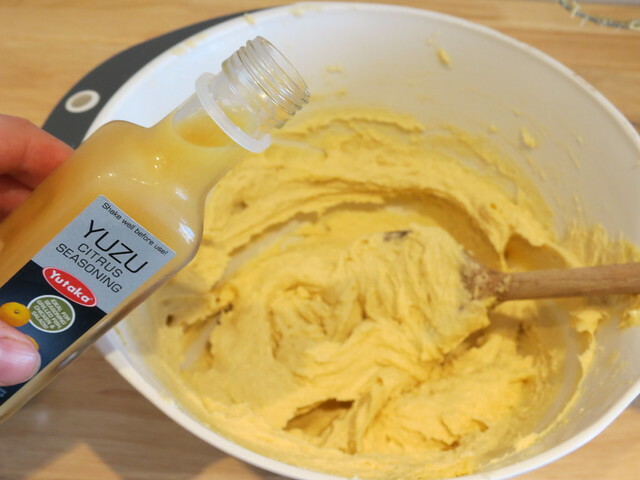 Add the yuzu and mix. 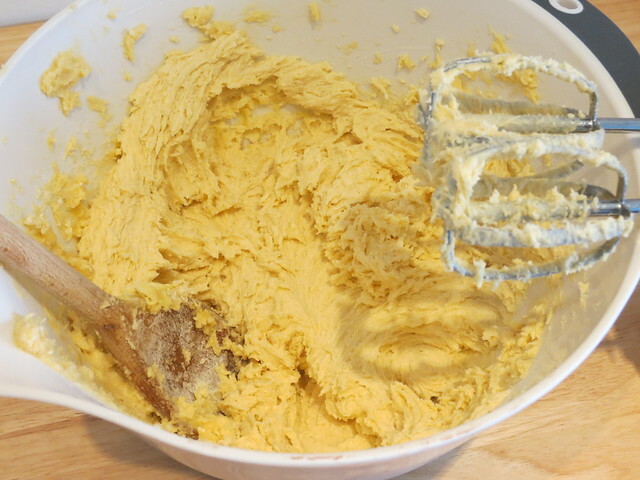 Pour the cake mix into the tin and spread evenly. 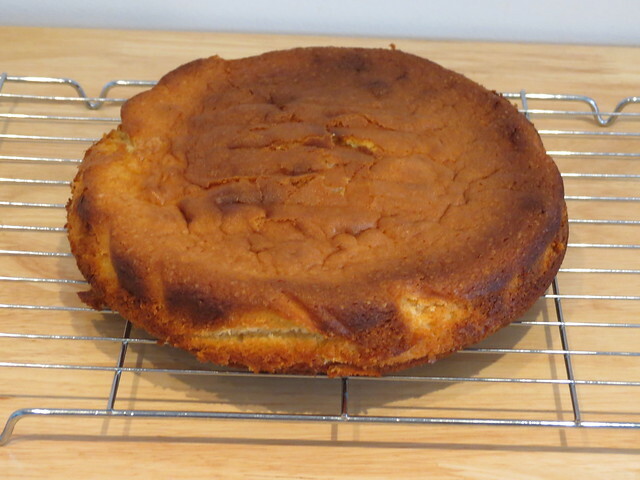 When my cake came out of the oven it looked pretty good, except for the cracked top. I wish I knew why this happened! Maybe the tin is the wrong size, or there’s not enough baking powder. Anyway, at least it was cooked right through. 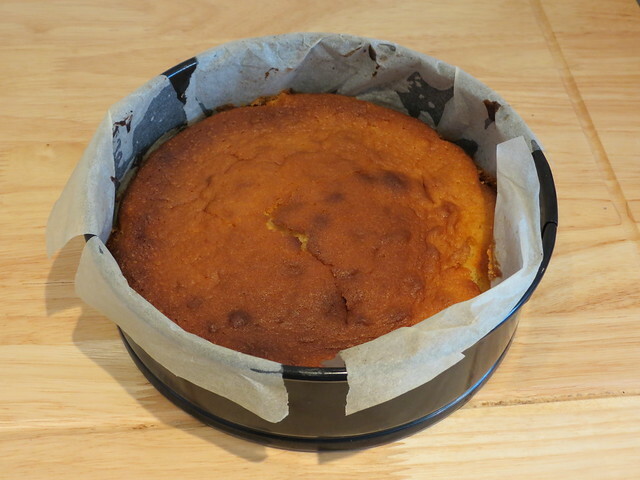 Allow the cake to cool a little in the tin, and then turn it out onto a wire rack. Leave it to cool completely before icing. 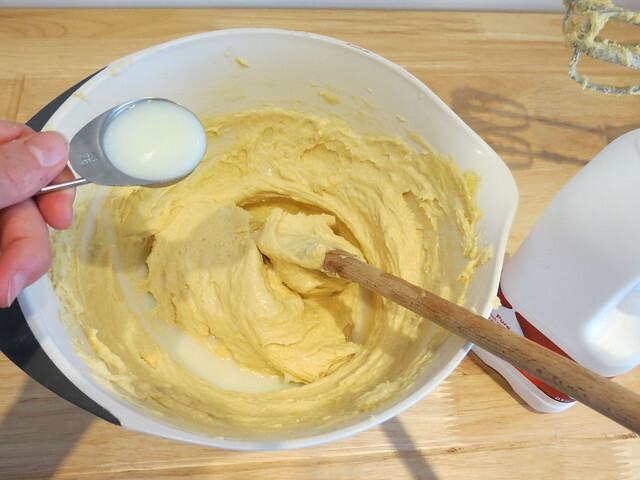 Mix together the ingredients for the icing until you have a thin, runny consistency. 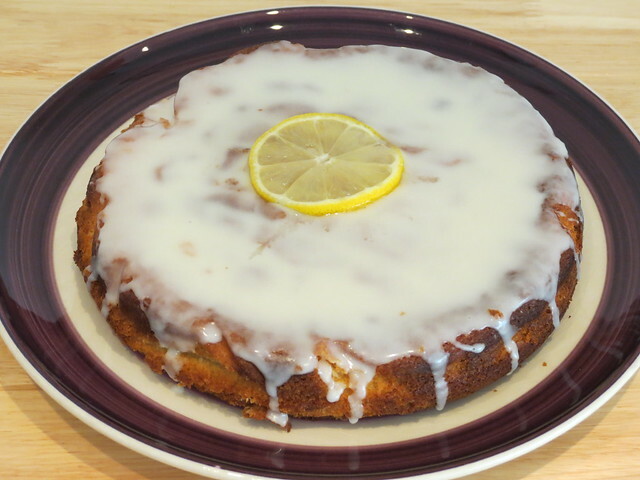 Ice the cake, and decorate with a slice of lemon or lime if you wish. 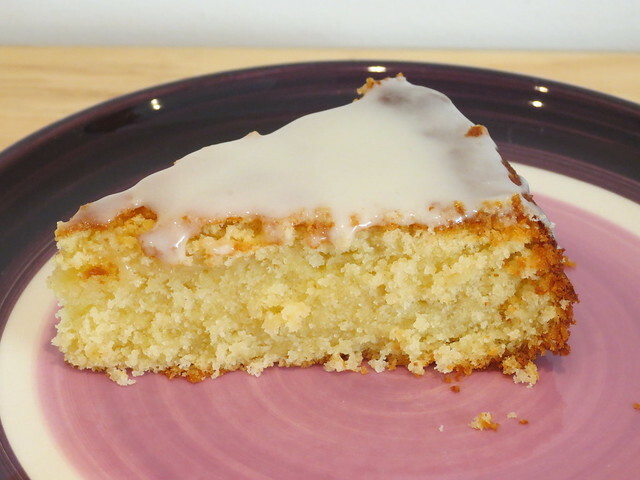 It certainly wasn’t the most beautiful cake, but it was nice and moist, and the lemon flavour was just the right amount of sharp. Not a bad result for a quick bake! I’ll be back in October with a new recipe, and it will be the last recipe of the year! If you have any suggestions, or perhaps you would like me to try one of your recipes from a book or website, please leave a comment below or get in touch! All the recipes I try on this blog have some connection to Japan and, because I don’t eat meat, they need to be vegetarian or pescetarian. I’m particularly interested in helping to promote Japanese recipe books, so do let me know if you have one I might like! Yuzu is delicious, and since last year I’ve been crazy for everything yuzu! I’ll have to try this recipe. The final photo looks delicious! Bet that cake was yummy! As far as I know the most common reasons for cakes sinking in the middle are over beating the mixture (you knock the air out apparently) or the oven being too hot. Is your oven a fan-assisted oven?